What is a Corporate Mascot Design? A mascot design is a character (animal, object or person) designed to represent a collective, incorporated or not, with common identity and values. The mascot design is a very effective channel to communicate the values of a group or team. 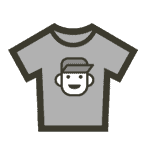 It can be manufactured into a physical costume to be wore by a professional or amateur animator, or be an intangible good. Maflo International is a Peru based corporate group that offer supplies for the construction industry, Diego contacted me to refresh several of his brand identities including logo and mascot design. Abdulhamit Bolat is the owner of a small fast food restaurant, he wanted to standout from the crowd of restaurants offering the same service in the neighbourhood, he stated in the brief that his mascot logo should be fun, tasty, playful, childish, fast food, American style. 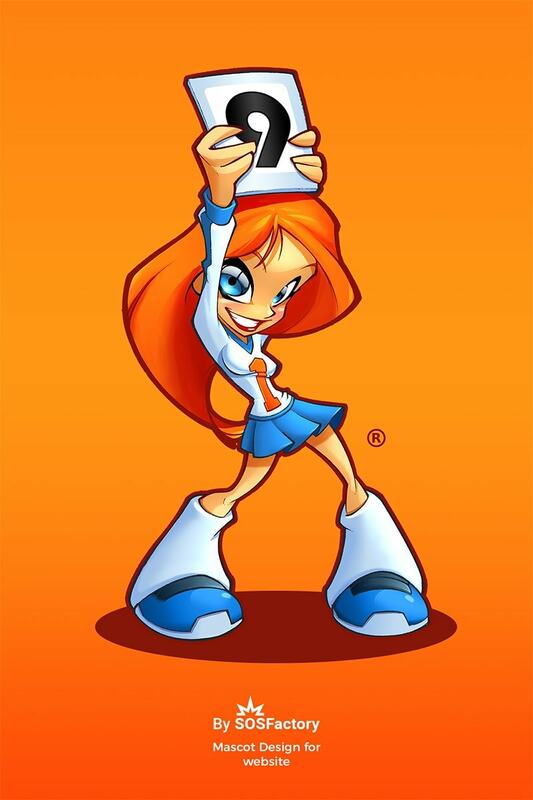 Cute girl mascot design created back in 2005 for Rate my Site. One of those old web design galleries so trendy 10 years ago, Instagram and Pinterest killed all of them. More than 13 years ago since its creation it still looks great. Why Mascot Logo Design Animals are so popular? 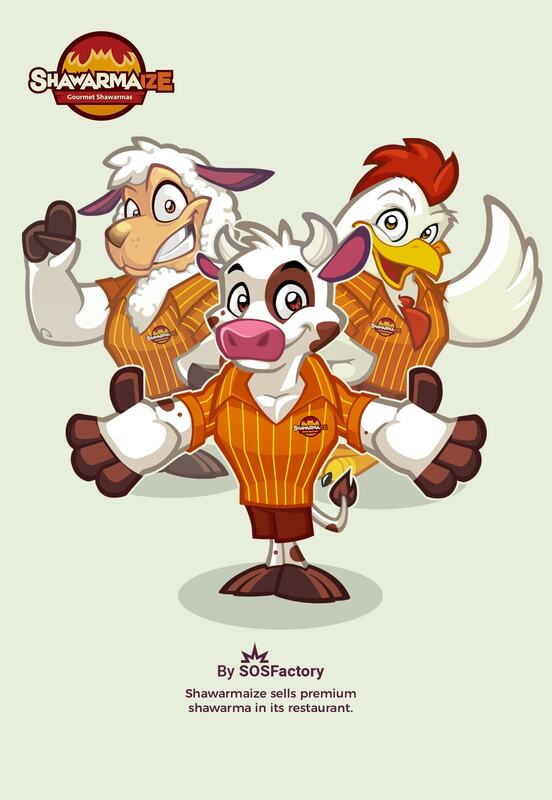 Using animals as corporate mascot design is a very common trend because of the ease at time to communicate different skills and values. Cedar Joinery is the brand of a young joiner & carpenter that is setting up a new business. He was in need of a logo and animal mascot design related to joinery/woodwork/carpentry job. In the briefing requested a fun brand identity that reflects his values as entrepreneur, game alike style. Atom is a child brand of Maflo Internacional, a long term client that uses animal mascot designs in all its brands. This particular brand produces quality security devices. 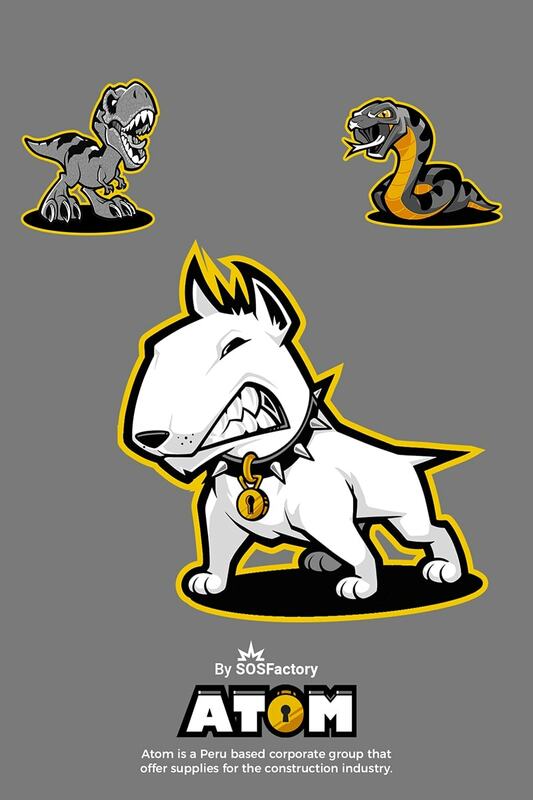 We chose an bull terrier as mascot design because they are smart, determined and strong. Shawarmaize sells premium shawarma in its restaurant. They hired me to created an eye-catching logo and a team of mascots together with a full set of identity, from really simple logo for easy printing to really complex illustrative logos to be used on big applications, for example T-shirts. You can visit my portfolio of featured mascot logos and mascot designs. 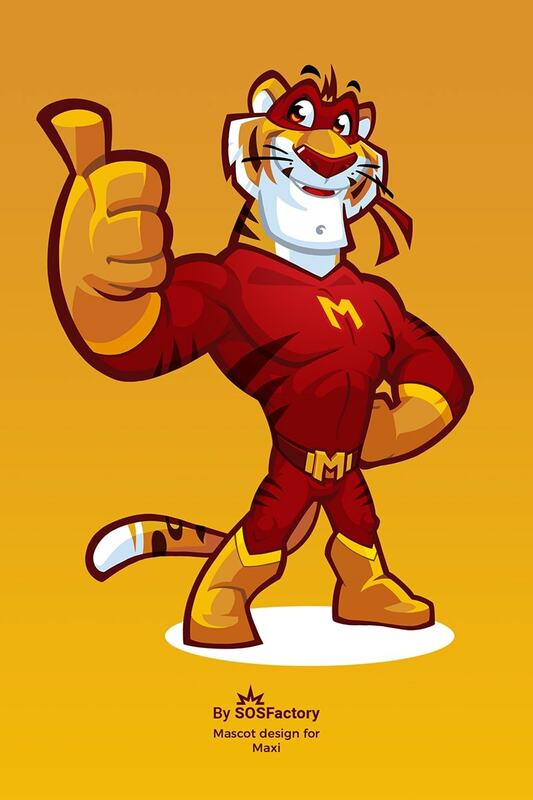 How to design memorable Mascot Design Characters? In this case studio I share all the reasoning behind the creation of Mafia Death mascot design characters. What is a Sport Mascot Design? 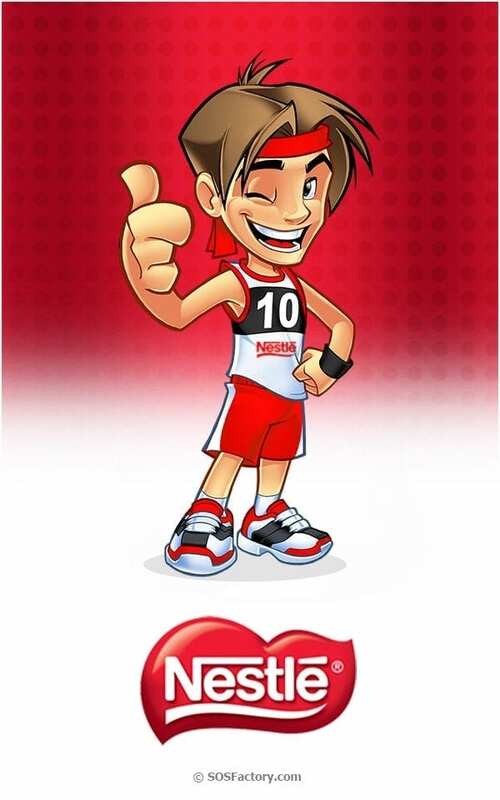 Sport mascot design is a very successful and specific niche of corporate mascot designs, they have the common features of any corporate mascot design with the particularity that they must communicate action, energy and healthy lifestyle values. 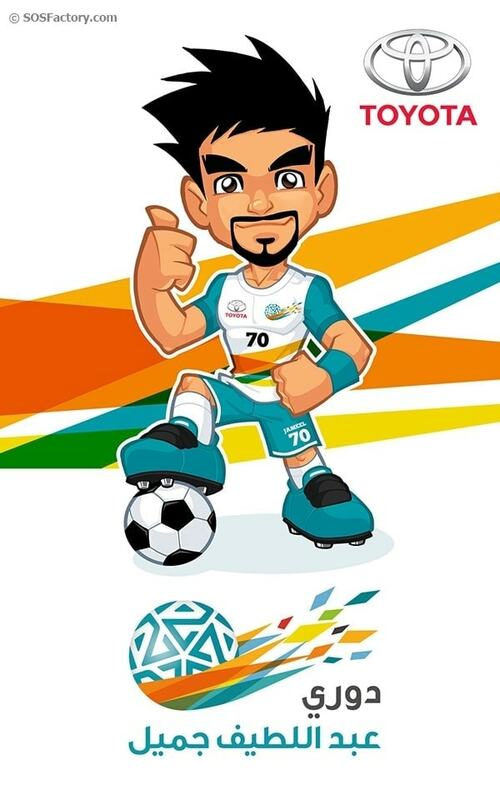 Jameel is the official mascot of SPL in Arabia Saudi, sponsored by Toyota. During the last months I have worked in collaboration with the agency 3e60mena and Toyota representatives in the creation of a whole set of beautiful poses for this friendly character. This is the kind of job any illustrator would love to do. Designing for kids is as easy and natural for me as breathing. This project had no restrictions, just a short brief, a couple of revisions and lots of freedom, the result… a 100% fun character. 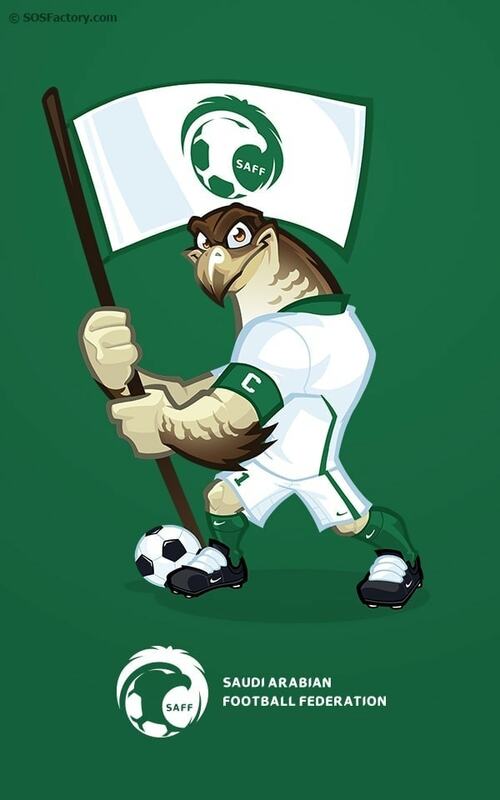 During 2017, together with 3e60 creative agency, I created the mascot for Saudí Arabian Football National Team, this character will represent Saudi Federation for Rusia 2018 World Cup. 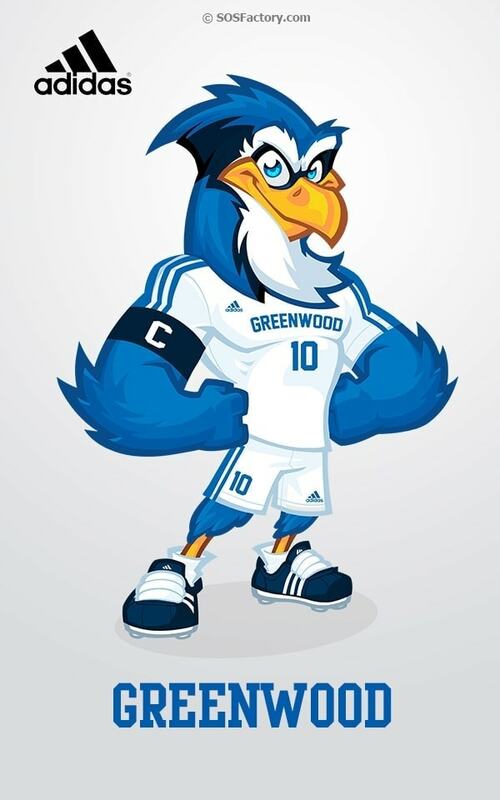 In 2017 I created a vector mascot design of a blue jay bird for this middle school team in Missouri, the character was based in their current mascot costume. Because small teams can also have great design! Al-Shabab FC is a Saudi Arabian professional football club based in Riyadh. It was founded in 1947, and was named at first Shabab Al Riyadh, but later in 1967 was named Al Shabab. 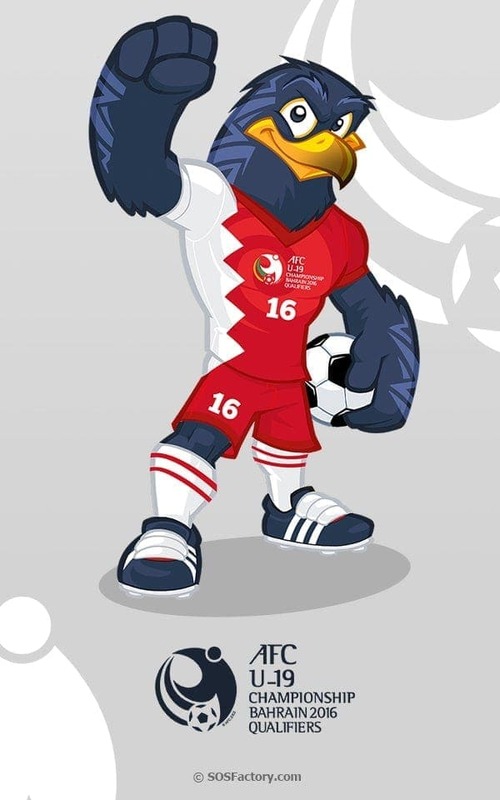 Sport mascot design I created for Asian Football Confederation, U19 Championship in Bahrein qualified for World Championship U20 of 2017. Really fun project that opened the doors for future clients on this niche. I have created University mascot designs for some top institutions like San Diego University, Grand Canyon University and Georgia State University. 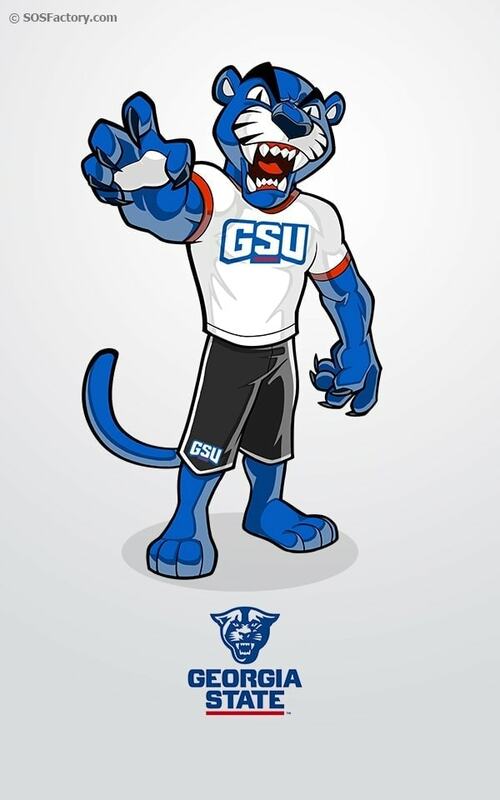 Another vector mascot design I created for Georgia State University. 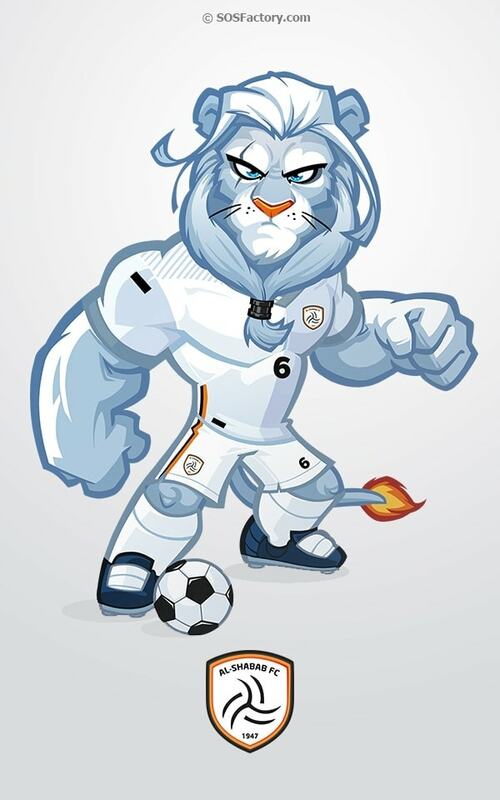 I really loved Pounce’s attitude, an edgy and fun mascot, quite aggressive design! Clean and crisp! 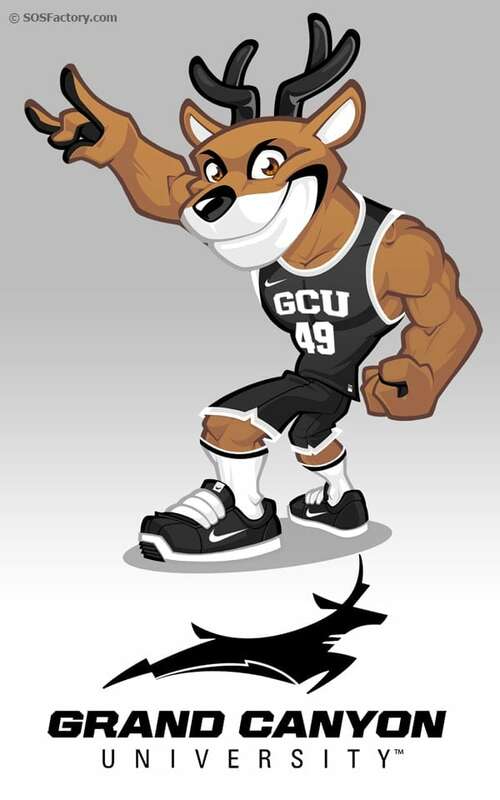 Grand Canyon University creative department got in touch with the best mascot designer ever – trully yours 🙂 – to create a friendly, fun, athletic character to bring their events to life. 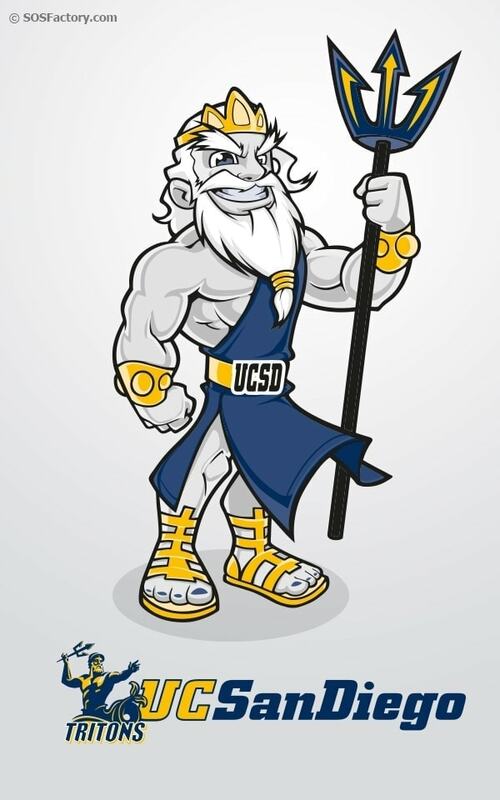 This mascot is the cartoon version of Thunder, GC University mascot. What is a Mascot Logo Design? A mascot logo design is the iconic representation of a mascot design in the form of a logo. The mascot logo follow all principles of brand identity, it must be: simple, memorable, timeless, versatile and appropriated. It’s closer to logo design expertise. 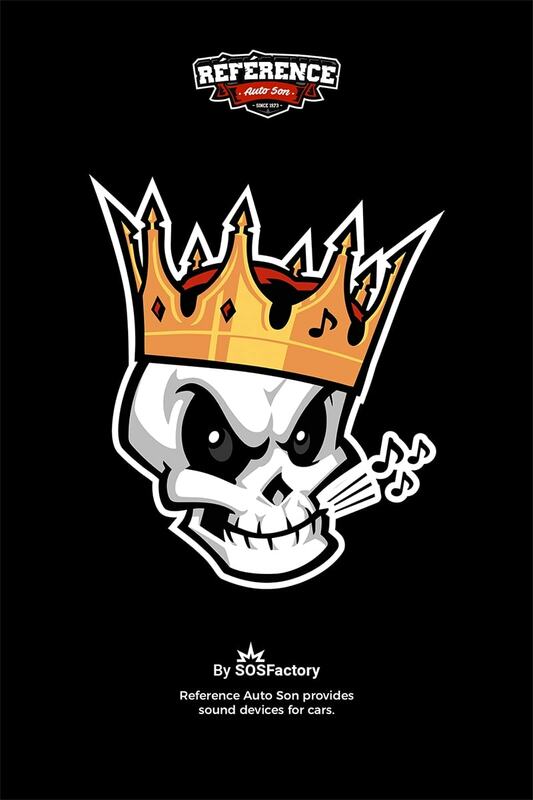 I love skulls, unfortunately not all clients share this love… but from time to time I find cool clients open for edgy concepts like on this case, I created a skull mascot logo for Auto Reference Son, specialist in sound devices for cars. Fixxit is a Canada based company that repair smartphones, tablets and laptops. Darab, the owner, contacted me with a clear brief of the project. He wanted to be perceived as professional but friendly, he also stated that the brand identity should be versatile enough to be used on several formats. Coolest client ever: reasonable budgets, creative freedom, long deadlines and really cool concepts. 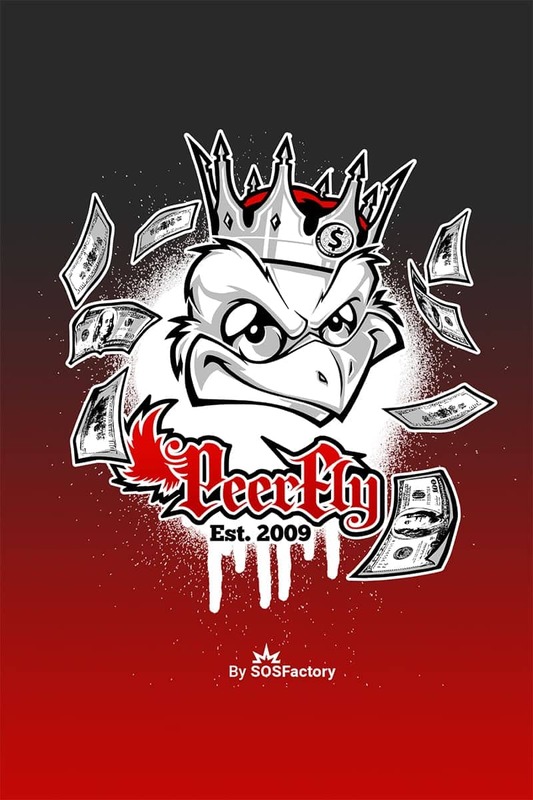 Since 2010, Peerfly hire me regularly to create cool T-shirts designs with their Peerfly mascot design to give it away in their events. Not enough Corporate Mascot Design ideas? During the last 15 years I have designed more than 300 mascot designs ideas, you can view all of them in this blog post. Acclaimed universities in the USA, Saudi Arabian Football Federation, football teams in Egypt Premier League and even Asian Football Confederation are some of my recurrent clients. NEED MORE MASCOT DESIGN IDEAS? Is Character design, Mascot design and Mascot logo the same? What is a Character Design? Character design is the visual development of a personage, it consist in creating a model sheets with character’s pose, gestures and clothing; it help artists to understand the nature of a personage. It’s closer to Concept Art than to graphic design. A mascot design is a character (animal, object or person) designed to represent a collective, incorporated or not, with common identity and values. Mascot designs are more complex than logos. This field is between illustration and graphic design. A good mascot design is not just a nice illustration. Stock mascot designs are nice and affordable, suitable for startups, but not unique and adapted to your needs, which is key in successful branding. Ready to jump to the next level? 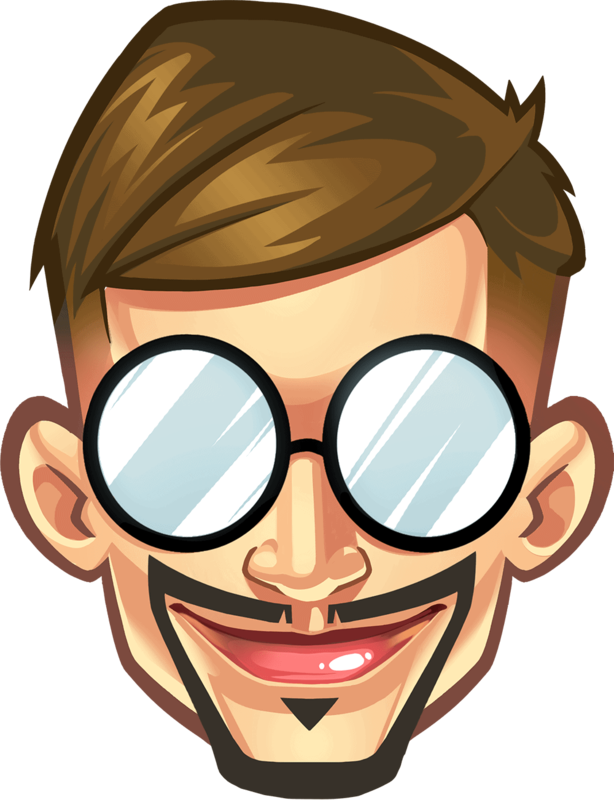 My Mascot Design Kit includes: illustrated mascot design in vector format for big applications and icon for small applications. Additionally I can provide different kind of renderings (flat vs gradient) and Pantone. In order to avoid surprises, I offer a wide range of mockups to help you visualise how your new mascot design will behave in real products: business cards, t-shirts, stationary… just ask me! 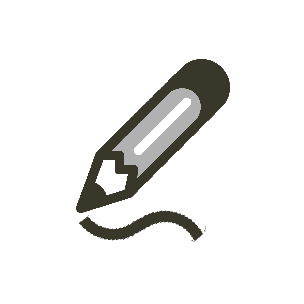 How many revisions do you offer in your Mascot Design process? I offer a premium custom mascot design service and I guarantee full satisfaction. Revisions will be the necessary in order to achieve the objective set. 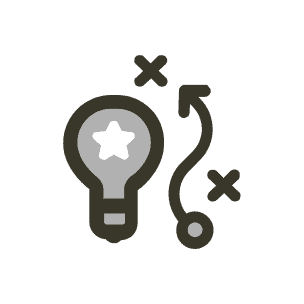 My design process is sequential, we’ll do the work in stages – briefing, conceptualisation, sketch and final design – and we’ll make all the revisions you need (within reason), but when one stage is approved, we can’t turn back again. If this happens I may charge a fee. Will you refund my money if I don't like your mascot design? Who owns the copyright of my mascot design? Copyright of the brand identity is yours upon receipt of final payment. 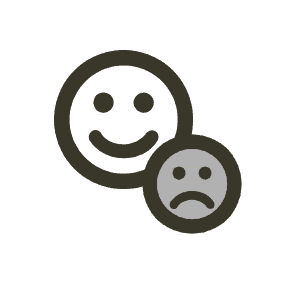 Anything I create that is not used in your final design belongs to SOSFactory, for example, unapproved versions of your final design. Since I offer unlimited revisions (within reason) I try to avoid clients who request extra concepts that will be used for other projects. Can you keep my mascot design project confidential? My portfolio is my only marketing tool, so otherwise stated, I keep the right to display the outcome of any design order in the SOSFactory portfolio, blog or social profiles in order to promote my work. If you need a Non-Disclosure Agreement signed by me, please let me know upfront as this certainly will increase the price of the service. 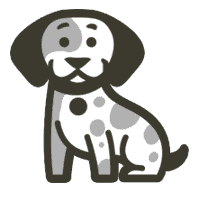 Can I make modifications to my mascot design? Art is very personal and requires expert skills, it’s also about style, if you make changes it could lose all consistency. If after your project is finished you want make any change I suggest you contact me to discuss your new needs, I will do everything on my hand to achieve your new goals at the minimum cost. 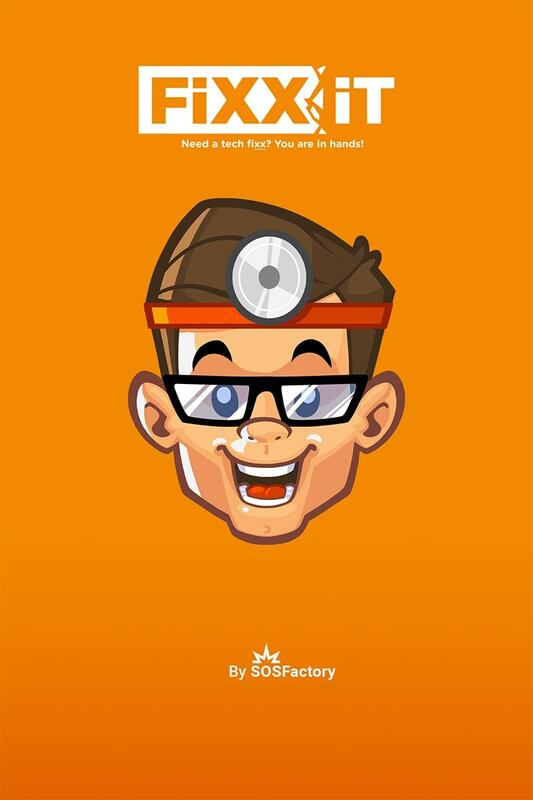 Which payment methods can I use to order my company mascot design? Yes, from time to time I like to create mascot and logos just for fun, a way to monetise this hobby is selling it as royalty stock design. Otherwise stated you can use this design for commercial purposes as long as you don’t sell it, license it or redistribute it.